Active @ UNDELETE Freeware is an independent, sufficient and lightweight version of Active@UNDELETE Recovery Toolkit software application designed to restore your lost files and folders from live volumes (logical drives) or to recover lost files from deleted or damaged partitions. For advanced features, such us recovery data from RAID's, restoring partitions, low level disk editing and much more please evaluate Professional edition. 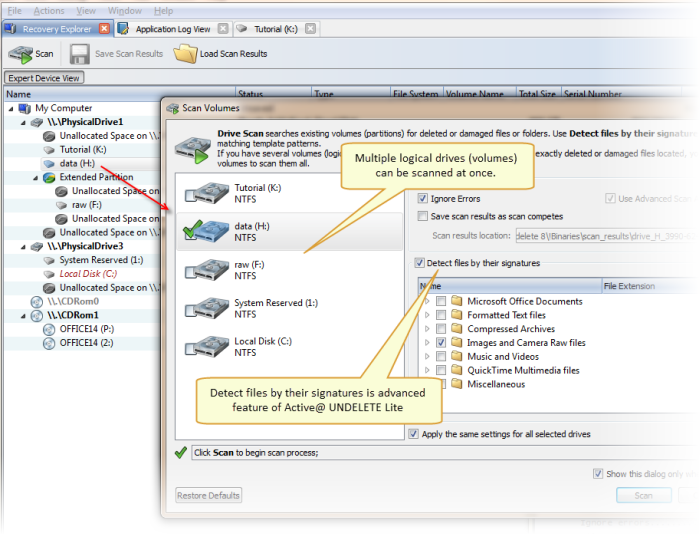 Scanning logical drives is a required step for recovering files and folders. 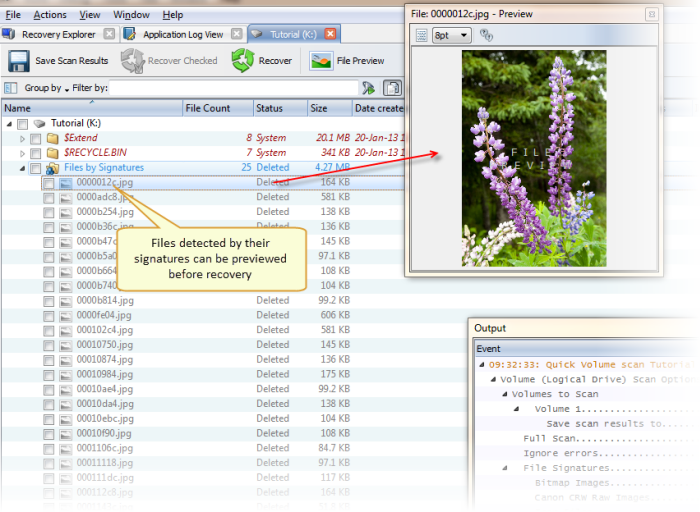 During the scan all deleted (and existing) file and folders are detected. The results of a logical drive scan are displayed in a separate tabbed views. When volume scan is completed, you may filter scan results by using File Filter tool to easy find your deleted files or files with certain file name mask, preview your files before recovery to evaluate its integrity and much more. 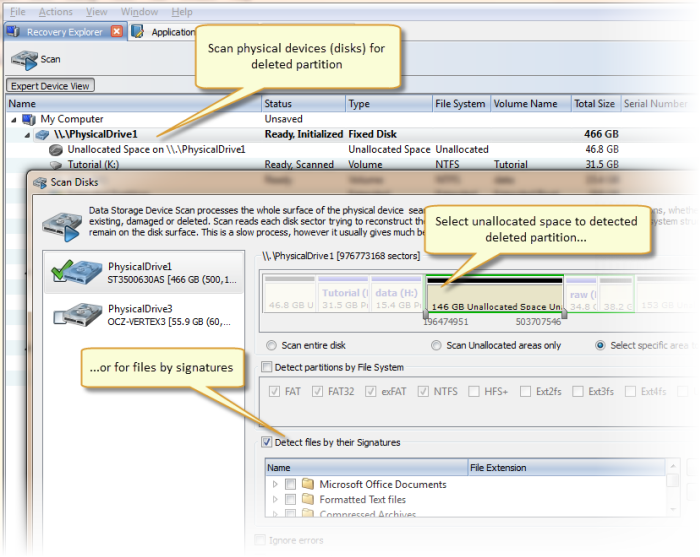 Scanning physical devices will give you even more flexibility - you can recover files from deleted or damaged partitions, detect files by their signatures and more.